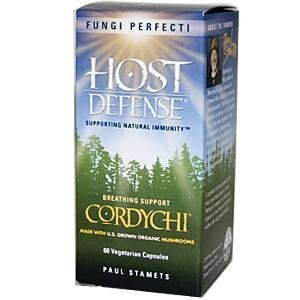 A uniquely balance blend of Cordyceps (Cordyceps sinensis) and Reishi (Ganoderma Lucidum), CordyChi brings the benefit of supporting energy and oxygen uptake with cellular nutrients. Adults with active lifestyles and those who seek balance in a stressful world will breathe easy with CordyChi. Each capsule contains 500mg of freeze-dried Cordyceps/Reishi mycelium.